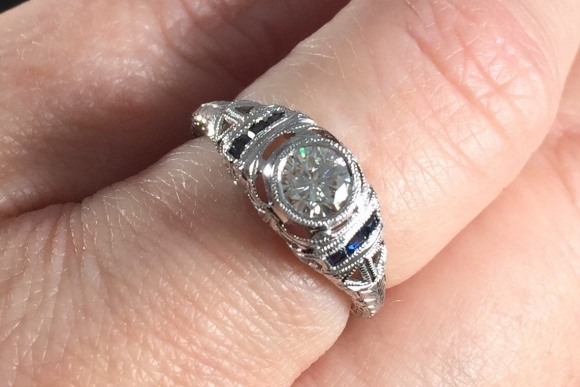 This Art Deco Revival diamond engagement ring is bezel set with a round brilliant diamond in 14K white gold. 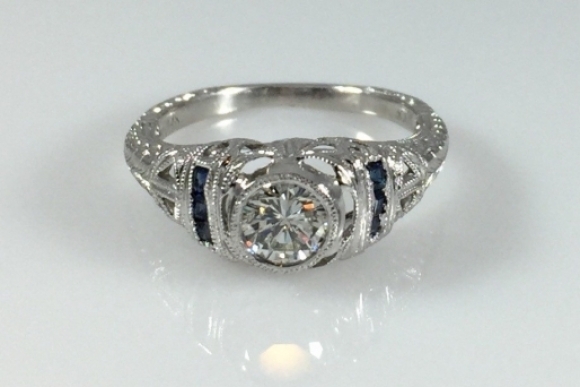 The filigree basket design is accented with three French cut natural sapphires on each side of the diamond. 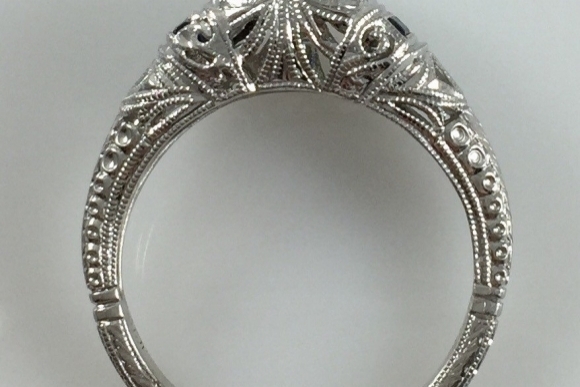 Hand engraved details, and pierced filigree add to the beauty of the ring. The half carat round brilliant diamond is a VS2 G-H. 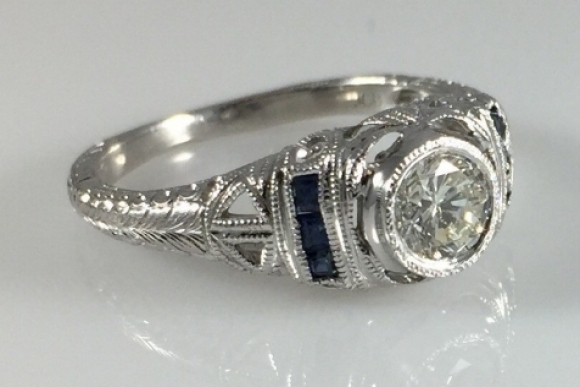 This beautiful ring is certain to be treasured for a lifetime. 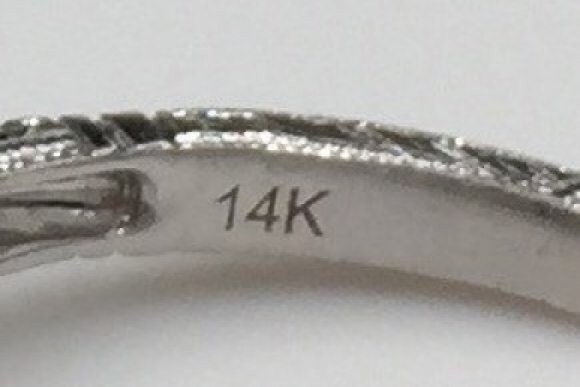 The engagement ring is a size 5. Sizing for a perfect fit is complimentary.